A family celebrates their new arrival with a studio family portrait. The Webb family has a new arrival and his name is Isaac!! Mom, Dad and big sister were in my Northwest Indiana Portrait Studio recently for a family session. We took some group shots of the whole gang along with each members of the family taking their turn with the little guy. 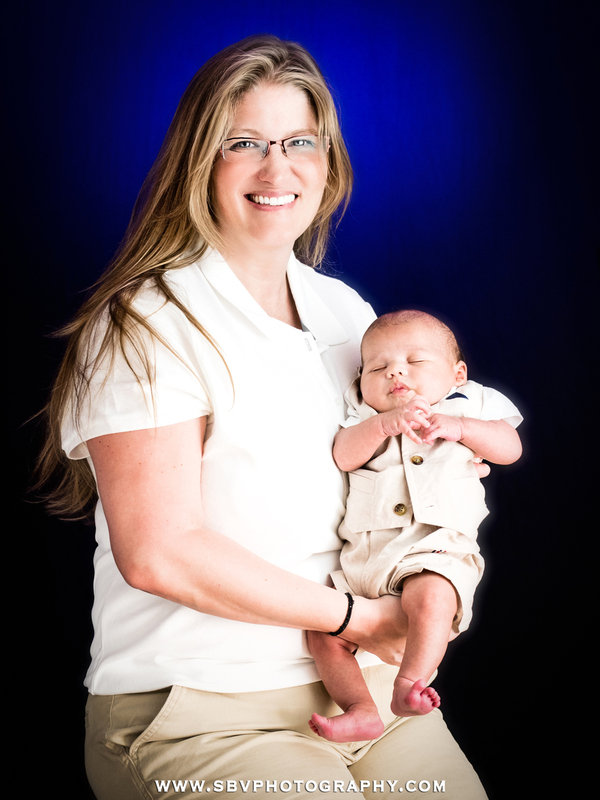 Big sister dotes upon her new little brother in this studio portrait. A proud mom takes a portrait with her baby boy. Mom was all proud smiles as was big sister as Isaac took a much needed snooze. Little brother and big sister studio portrait. Last, but certainly not least, Dad had some alone time with his son. It was a very warm and loving portrait session between a tight knit family. These are just a few sneak peek images with more to come. Be sure to subscribe below or visit the SBV Photography Facebook page for more updates. Dad kisses his baby son in a black and white studio portrait.